With so many fundraisers happening all year long, it sometimes can feel overwhelming to know which ones to support now, and which ones to bookmark in our brains for next year. 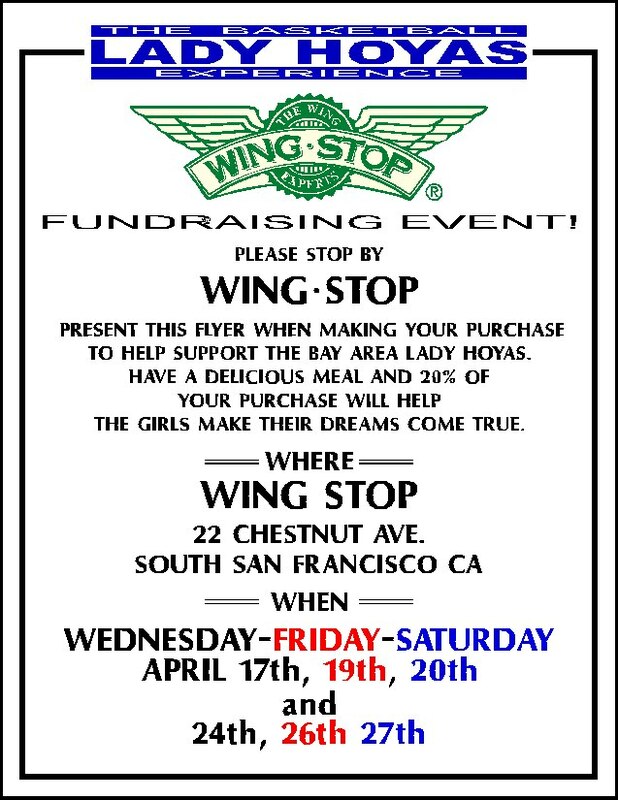 For that reason Everything South City would like to give you some background on the fundraiser being held at WING STOP for the LADY HOYAS Basketball Team, for 2 weeks, starting this Wednesday, Friday, Saturday and going into next week Wednesday, Friday and Saturday. This is one group that caught our attention and needs to be highlighted in our community. 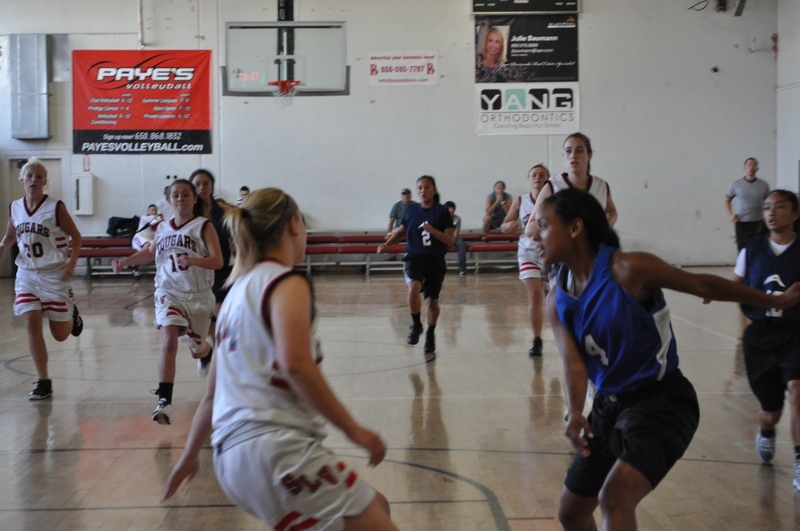 The Lady Hoyas are an AAU traveling tournament basketball team which includes seven of our own juniors from El Camino High School. Each of these girls has played for El Camino High at some point in their career as well. The Lady Hoyas are coached by a very dedicated and talented man by the name of Senque Carey. He’s the Bay Area’s very own “Blindside” – Just like the movie but in real life, here to coach our own kids. Coach Q, as he is affectionately known, is a native of East Palo Alto and grew up among some bad elements in a tough area of town. With determination, along with encouragement from his mom Katie Lamb, and help from a local mentor and benefactor Jill Smith, Carey found a way to not only succeed, but to look back and help others along the way. Carey met Smith when he was 9 years old and she was set on helping this young boy as he continued to show promise of wanting something better. It was an ongoing struggle yet Carey was accepted in St. Elizabeth Seton Junior High and then onto Mountain View’s St. Francis High where he excelled both on and off the courts. 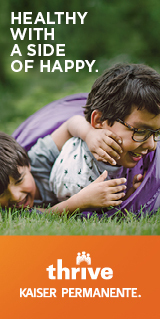 Smith and her husband created the California Family Foundation which provides financing for 15 students in college and Carey was one of the lucky, and deserving, benefactors. He later went onto the University of Washington and University of New Mexico. Carey’s accomplishment did not stop there. In 2002 at the young age of 24, Carey sustained a life changing major injury while playing for the University of New Mexico. A head snap left him with two herniated cervical disks causing him to be paralyzed, temporarily. After having surgery, Carey’s determination, true grit and positive attitude, coupled with hours of physical therapy, brought him back into the game. 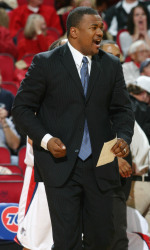 Carey continued his love of the basketball as a coach for Fresno State, Portland State, and undergraduate Assistant Coach at the University of New Mexico. In 2010, Coach Q was named one of the nation’s top 100 assistant coaches by Basketball Times Magazine. That was a far cry from his earlier days at Onetta Harris Community Center in East Palo Alto. Today Coach Q is committed to helping players improve their mental game as well as their physical game on and off the court coaching Castro Valley High School as well as establisging his coaching organization “The Basketball Experience” and the Hoyas AAU . Enter our 7 juniors from El Camino High School and Wing Stop and the need for us to support The Lady Hoyas and their traveling tournament basketball team. They are learning not only basketball, but life lessons taught by a coach who knows a thing or two about rebounding, on and off the court. The funds raised will go to help defer expenses for these girls to participate in these tournaments and we give a shout out to WING STOP for donating 20% of proceeds to help our kids out. To Coach Q, we thank you for showing the value of paying it forward, and to our girls we say – We Support You! When: Wednesday, Friday Saturday April 17th, 19th, 20th this week and 24th, 26th and 27th of next week. Be sure to present the flyer, or mention Lady Hoyas, so the monies go towards the Lady Hoyas AAU.